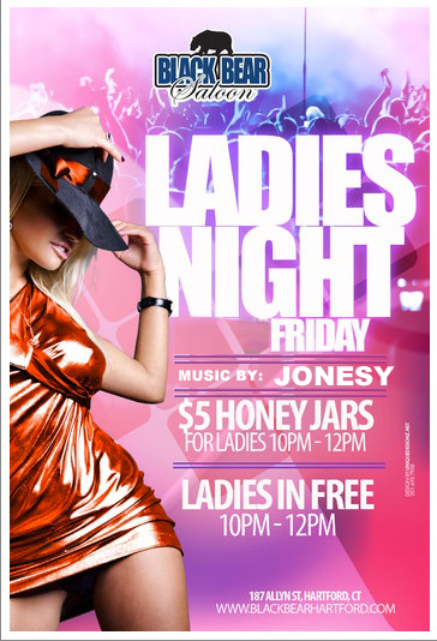 FRIDAY 3.22.13 IS LADIES NIGHT AT BLACK BEAR HARTFORD. I'LL BE BRINGING MY TALENTS TO THE STATES' CAPITOL CITY TO THROW IT DOWN LIKE ONLY I CAN. MUSIC STARTS AT 10PM!